Replaced By DP83822I – The device has the SAME FUNCTIONALITY as the compared device, but is not pin-for-pin equivalent and may not be parametrically equivalent. 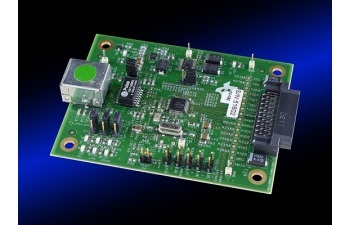 The TLK110CUSEVM industrial temp, single port 10/100Mbs Ethernet PHY evaluation module allows the user to quickly evaluate, design and market systems containing the TLK110. The TLK110 is a single-port Ethernet PHY for 10Base-T and 100Base TX signaling. This device integrates all the physical-layer functions needed to transmit and receive data on standard twisted-pair cables. The TLK110 supports the standard Media Independent Interface (MII) and Reduced Media Independent Interface (RMII) for direct connection to a Media Access Controller (MAC). The TLK110 is designed for power-supply flexibility, and can operate with a single 3.3V power supply or with combinations of 3.3V and 1.55V power supplies for reduced power operation. The TLK110 uses mixed-signal processing to perform equalization, data recovery, and error correction to achieve robust operation over CAT 5 twisted-pair wiring. This device not only meets the requirements of IEEE 802.3, but maintains high margins in terms of cross-talk and alien noise. The TLK110 Ethernet PHY has a special Power Back Off mode to conserve power in systems with relatively short cables. This mode provides the flexibility to reduce system power when the system is not required to drive the standard IEEE 802.3 100m cable length, or the extended 150m, error-free cable reach of the TLK110. For more detail, see application note SLLA328.